Opportunities like this dont come around often; priced almost $25k below appraised value, steal this home before its too late! Minor cosmetic updates will give this home your personal touch and make it all that it can be. 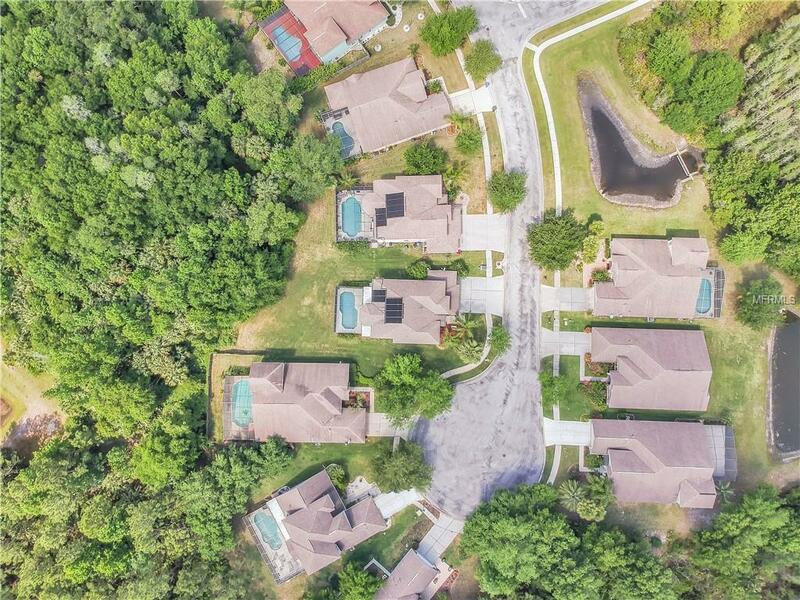 Awesome cul de sac lot, conservation and over a quarter acre. Room to play beyond the pool; a rare find! Beautiful stone detailing accent the exterior of this 3 car garage home. 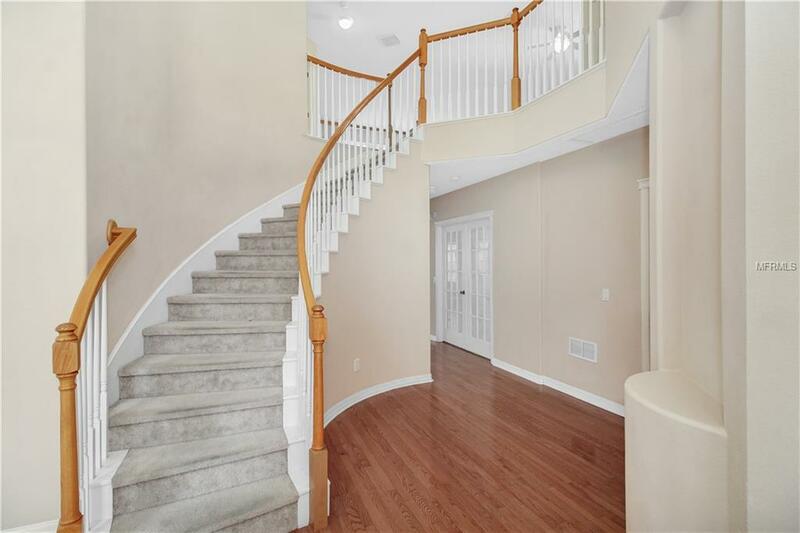 Grand entry with impressive spiral staircase. Office and full bath downstairs. Living and dining room combo lead into the kitchen which opens to the family room. Lots of space for everyone! 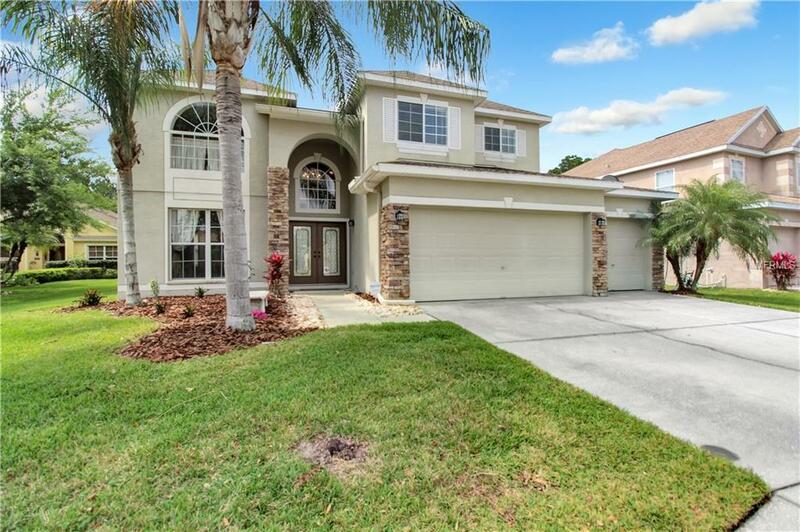 Upstairs features a loft and the master suite plus two additional bedrooms and bath. 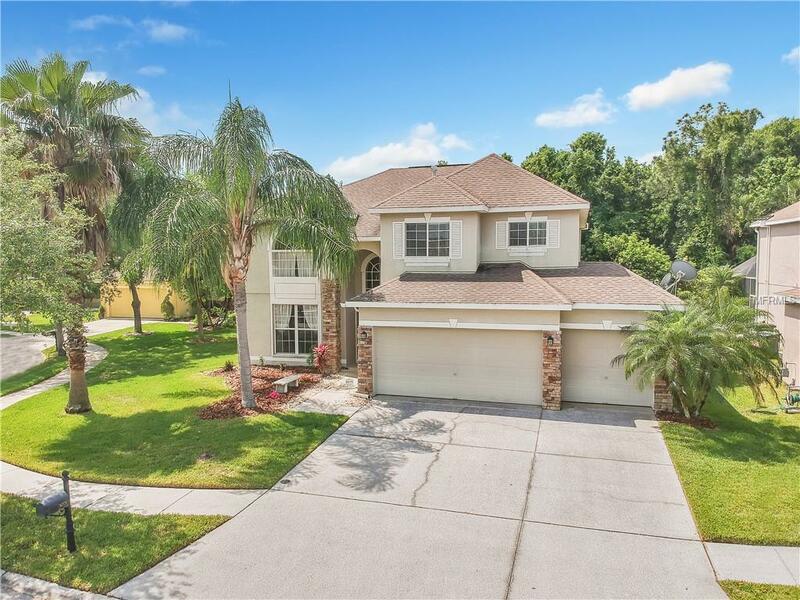 Live the Florida life in the backyard oasis, enjoy your personal pool, and beautiful views. Gated resort community with playground, parks, slide, splash area, etc!